Motivated seller addresses astute, cost-conscious buyer: This highly upgraded 2,273 square foot Incantare plan Club is a steal. 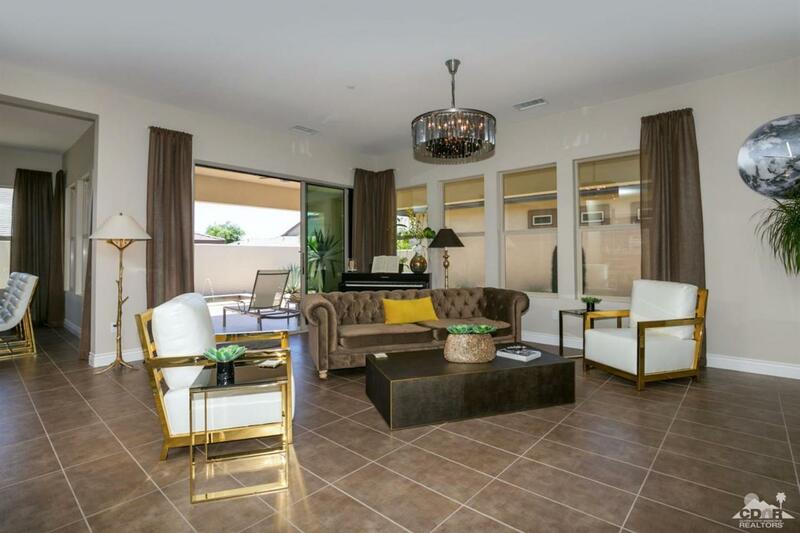 Located in Trilogy at the Polo Club, the home features an attached Casita/Villa. Duplicating this home would cost over $150,000 more, as it is over-optioned. The pre-paid solar system will save the owner tens of thousands $$$ over the life of the plan. Buyer will also save thousands on closing costs and Club Membership fees purchasing this existing home over a new home. Other options include lap pool, covered patio, rolling glass wall, upgraded Jenn-Air stainless steel appliances, 6-burner cooktop & hood, designer cabinets & custom glass cabinet, marble waterfall counter, upgraded shower, exquisite walk-in closet, and others. Trilogy at the Polo Club offers the best in resort living! If you are looking for a deal, this is your home.